Yesterday I completed the last of my radiotherapy treatments — SABR, or Stereotactic Ablative Body Radiotherapy. There’s a brief description at Wikipedia (link.) Now it’s time to set some goals for 2018. The tumour on the left kidney was treated late November into December, and the right kidney mass was nuked over the last week and a half. The process basically involved me lying on a hard bed while a scan was performed. Once the doctor verified that the scan showed I was in the correct position, the machine rotates around me and a beam (or beams) converge on the tumour and irradiate it. This is all done within a millimetre precision. It’s quite amazing really when you consider how imprecise radiotherapy used to be, and still is in some cases. My Mum was treated for bowel cancer some 20 or so years ago and it was quite an ordeal, taking six weeks to have all the treatments done. (She’s still going strong too!) Now it takes three sessions over a week and a half. Kidneys were also historically pretty hard to treat with radiation because they move as the patient breathes. From what I understand, the machine I was treated with is actually able to track the tumours moving with pinpoint precision. I do love science! There have been some side effects though. I’ve been fairly fatigued over the last month or so. After my treatment yesterday I just wanted to sleep, and did so for quite a long time, which is unusual for me. There’s also been a bit of nausea, and some other, err, related side effects. And my motivation to do anything has been lacking, including posting here. I have been doing some gaming though. I’ve given most of the games I bought in the Winter/Christmas sale a bit of a run through. Some more than others. And I got back into Skyrim. I created a new character, a Khajiit named Surly, who I decided to play a bit darker. I spent about 70 hours working through various quests preferencing the Thieves Guild and the Dark Brotherhood. It’s blowing me away again, how much this game has to offer. Though late game I’ve been experiencing a few CTDs. Not sure if it’s the extensions I’m using or something else, but I’ve slowed up for now. I also got stuck into Tomb Raider (2013) which I have enjoyed considerably, despite the jumping and quicktime events. Normally, not a fan. However, these QT and jumping events, while still somewhat frustrating, aren’t too bad. And of course, there’s also Subnautica. I have barely scratched the surface of this and am still paddling around in the shallows. It’s a most relaxing game so far, apart from the food and drink survival aspect, but I have been reliably informed it gets a lot more tense the deeper I go. I still need to find the vehicles for that! Goals. Now? Better Late Than Never! For a few weeks I’ve been considering what I want my goals to be for 2018. This is probably the best time to do this, at least before January finishes. Man! That went quick! 1. Health. Obvious this one, isn’t it? I do have to work on my health. Lose some weight, get a bit fitter. Maybe even get some more sun. (It burns! It burns!) Once this cancer is dealt with, I need to get into shape for a kidney transplant. I don’t really want to spend the rest of my life on dialysis. I’m in my 50’s and I’d like to work some more. Specifically, I’d like to restart my business when all this is dealt with. This is my very specific goal to work through the games on my Steam Backlog. Back in early January, I posted that I’d gone a bit crazy with the Steam Winter Sale and noted that it was adding to my backlog of games that I either hadn’t played, or had played only for a minute amount of time. After some consideration I’m throwing this goal in to the mix. 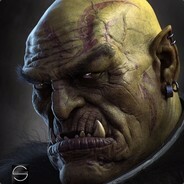 I have currently 169 entries in my Steam game library. Those are not all games, there are a few tools like the Skyrim mods I mentioned before. And there’s a few duplicate games that include VR versions or a directors cut. There are also a few defunct games that were perhaps never finished early access or have been withdrawn. My aim is to ‘complete’ as many of these games as possible. I don’t hgave a specific number simply because I don’t really know how long each game could take. For instance, if I wanted to complete all the Skyrim achievements it could take hundreds of hours. In fact it probably would take a couple thousand. So in this context, complete can mean. That will have to be a value judgement that I make myself, but from time to time I might put up a poll to see what you, my readers, would like to see. Can anyone recommend some good polling plugins for WordPress? I used to have one but it’s no longer available/usable. I do have a couple of caveats though for this project. If the game loses a save late into the game, has bugs that won’t let me complete it, or I simply hate it, then I reserve the right to cease playing it. I don’t have to complete it in one go, whether that’s in one sitting or over a single period of time. I’d like to be able to put it down, play something else, and come back to it later. Not being able to do that will lead to burnout and will make the whole project, un-fun. It may not be possible to finish all, or even most of the achievements in a game. Sometimes that requires multiple play-throughs on different characters, and sometimes it requires doing multiplayer achievements. Now I’m not against multiplayer, even though it’s not my preference most the time, but sometimes it’s just not possible. For example, I tried to get into some multiplayer on Doom (2016) the other day, and there was no one online in Oceania, Europe, or the US regions looking for a game. That will make it hard to get the MP achievements for that game. I’ll keep a record of this project on the blog. It might be worth it to set up a resources page to help track my progress. Back when I was a teenager, I used to do some arty stuff. Drawing, a little painting, and even some sculpture. I also learned the guitar (but struggled with stubby finger syndrome.) When I stopped work due to the kidney disease I started picking that up again, but not very consistently. So this year one of my goals is to become more consistent with the art. I should do some drawing every day, and a painting a week. I’ll post stuff I think is worthy here. Okay. This once again. I haven’t been particularly consistent here over the last few years. I figure I’m out of practice a bit, but this is something I also want to improve. Now that the radiotherapy is finished, and once the fatigue settles down, I should be a bit more motivated to blog. Hopefully. I guess we’ll see. OOoo Shiny! Anyway, that’s all for right now. I should note that these goals are not S.M.A.R.T. goals, which the various courses I have attended have insisted all goals should be. I’m happy though being a little ambiguous. I tend to think SMART goals work best for concrete things like business, science, or writing a book, but for a personal life? Well, life is messy, as they say. Sure there are some things that can be quantified, like I want to reduce my backlog by 20% or lose 15Kg or whatever, but life doesn’t always let you do that. How smart do I need to be? I had some specific goals for my business, and I was starting to get there when life decided to smack me upside the head. That changed everything, but on the other hand all it has done is give me a new set of things to do and aim for. Now, I would rather just have some fun doing things when I can rather than stress out to make some specific goal at some specific time for an activity that should just be fun. Maybe when I get healthy again I can start with the measurable goals. Oh, and BTW, if anyone is interested in friending me on Steam, just click on the Add To Friends Steam Widget in the upper right corner of this blog. I’m happy to accept any and all who want to become friends.